I have so been enjoying the beautiful weather we have been having here in upstate New York. It has been hard for me to sit down at my computer. I think you would all agree that is a good thing, after all, we are to enjoy the gift of life. I would rather sit down and post when I am inspired to do so. I enjoy it and I hope in turn, you do too. I have a painting on my living room wall that I love. To me I can see the heart of the artist that painted it so clearly as if he wrote the words down. 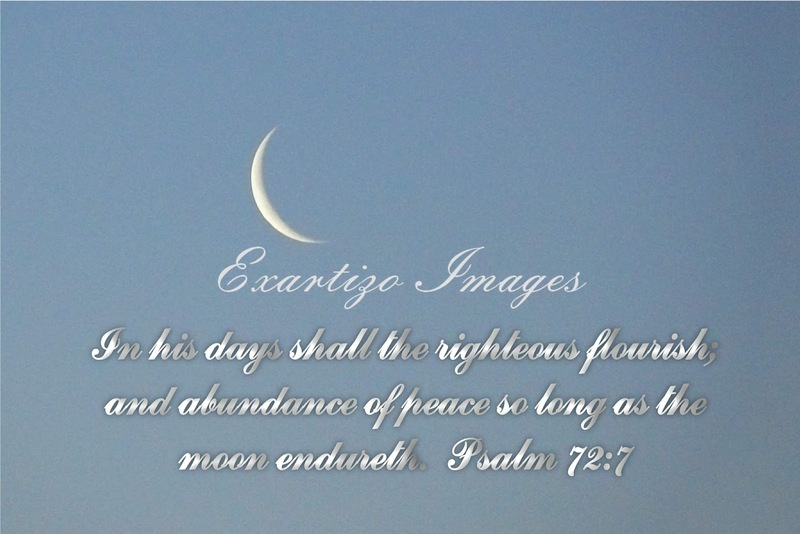 It truly magnifies our God.In that light, there may be times that I just post a picture and not put my two sense in. I will just let you ponder the picture to see the Father's heart in what He created. I understand the fine line between worshiping God and worshiping the creation. I love the Bible and the written word of God, but, I know He is also everywhere present and created all the beauty that we are privileged to enjoy and I want to expect to have fellowship with the Master everywhere I go, every second of the day. Not just in my living room chair, though that is my favorite spot with Him first thing in the morning. BUT... I don't want to leave my Lord there. I want Him with me all day. There was a time when man would look up in the sky and read the stars to know the coming prophecies. When man would look up at the stars, he wasn't worshiping the stars, he was longing to know the Father's wisdom. The Witness of the Stars written by E.W. Bullinger published in 1893, if you would like to learn more about this. My point: God is everywhere present. We can read His word and we can look at His creation and see Him; the rain falls on the just and the unjust. Yes indeed! He is everywhere present. We do not worship the creation, but the Creator. 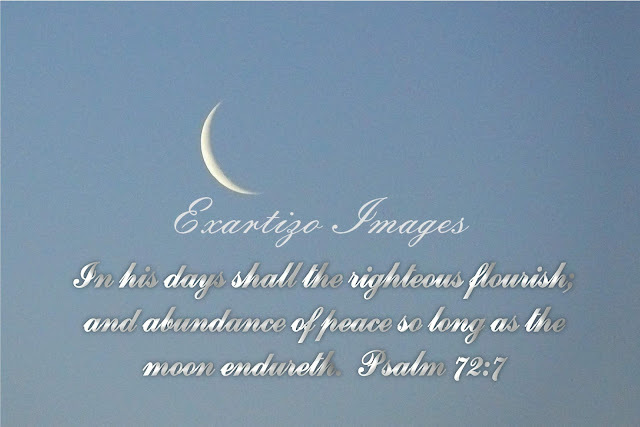 I like the script (font) inscribed onto your photo of the cresent moon, and of course the message from Psalms.